I have been too this city, several times already since decades ago. Having very bad experience of loosing my purse in a five star international chain hotel where I used to stay, makes Kuala Lumpur the last in the list of my travel destination in Asia. I booked a hotel via www.booking.com, the same also for a return train ticket for KLIA express from the Airport to KL Central via www.kliaekspres.com. Very convenient and easy. It is very safe to travel with KLIA Express, even in the middle of the night for a woman like me. So there I stayed in Kuala Lumpur for Christmas. 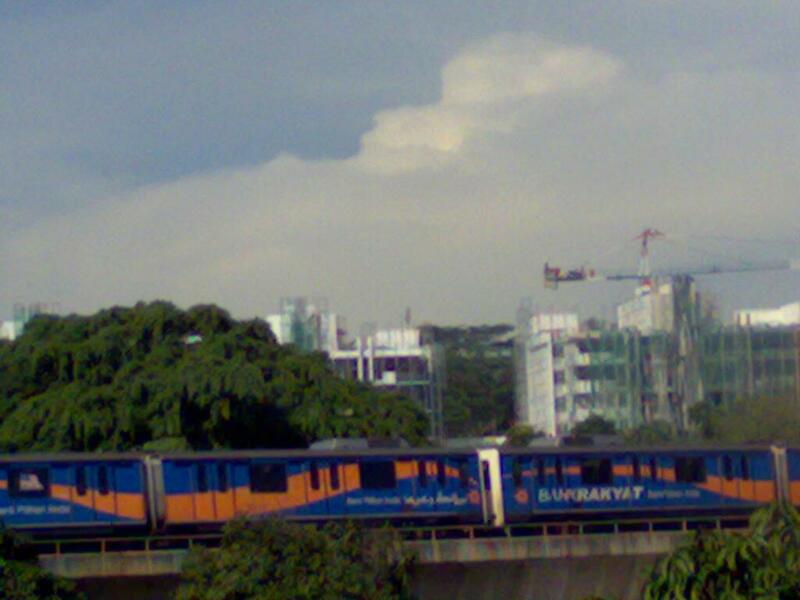 In terms of infra structure and the cleanliness, Kuala Lumpur is more advanced than Jakarta. People in Kuala Lumpur is more discipline with the traffic, so we hardly find long traffic jammed here. Flood is also not an issue in Kuala Lumpur. The city is green and the traffic is in order. 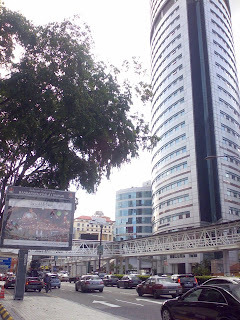 I stayed for 5 days at a tree star hotel Elenga, a new hotel in Chow Kit, Kuala Lumpur, only 15 minutes walk from KLCC where The Petronas twin towers located; and 5 minutes walk from Sogo department store and Maju Junction shopping mall, Bandar Raya. I paid only about US $ 200,- for the whole nights for standard room, king bed, including breakfast for two person. They gave me two coupons although I was alone. The room has so many facilities such as speed wi-fi, LCD TV, coffee maker, refrigerator and a big drawer, with big shower room, very clean towels as well as clean bed sheets that they change every day. I booked the hotel via http://booking.com, but one can book it directly at http://www.kl-hotels.com/elenga-hotel/ or via http://www.agoda.com/asia/malaysia/kuala_lumpur/elenga_hotel... Remember, the price is changing seasonly. 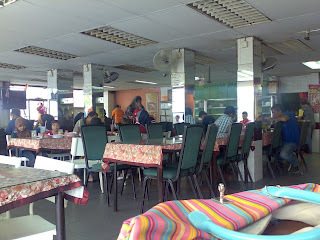 From KL Central to Elenga Hotel, I took a taxi for only RM 20 one way, but one can also take a city train, stop in Chow Kit for only RM 2.5; very cheap but I didn't do it because I arrived at 12:00 mid night. I also used budget taxi with the same price from the hotel to Kuala Lumpur Central station, when I was about heading back to Indonesia. Food price is almost the same with Jakarta, but I am not so fond of Malaysian food which I think a bit different with Indonesian ones. However, it depends on ones' taste of course. The great thing about Malaysian restaurant is; we can report to Consumer Protection Board if we find the restaurant is dirty or not in line with the Malaysian standard for cleanliness and healthy restaurant. 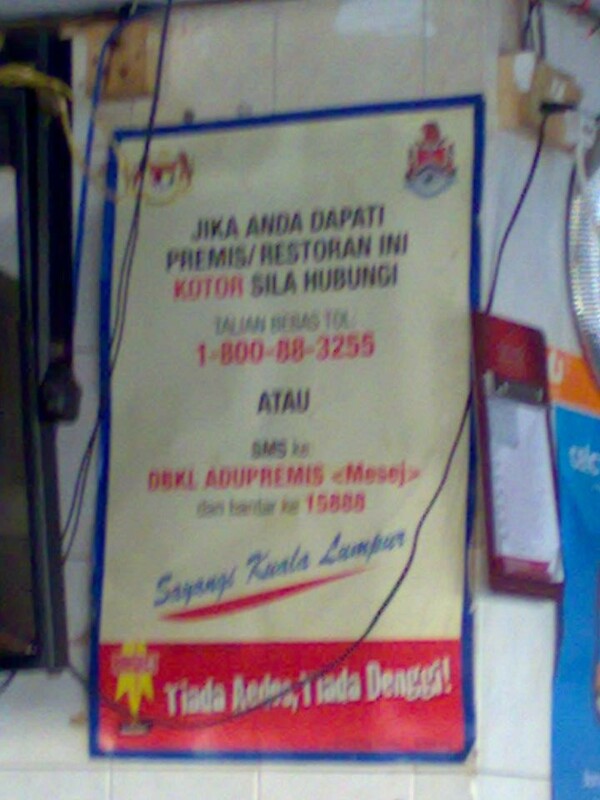 The people, especially the Melayu are very nice and friendly, but the taxi drivers, ohoho...we must be careful. Some are really very bad and will charge us double if we stop them in the middle of the crowd or book them late at night, so better book via their head office and report them immediately if they did something harm or cheating. For fashion and malls, Jakarta is much more advance; and else, most Malaysian visit Indonesia for shopping, playing golf, entertaining and exploring beautiful places in Indonesia. 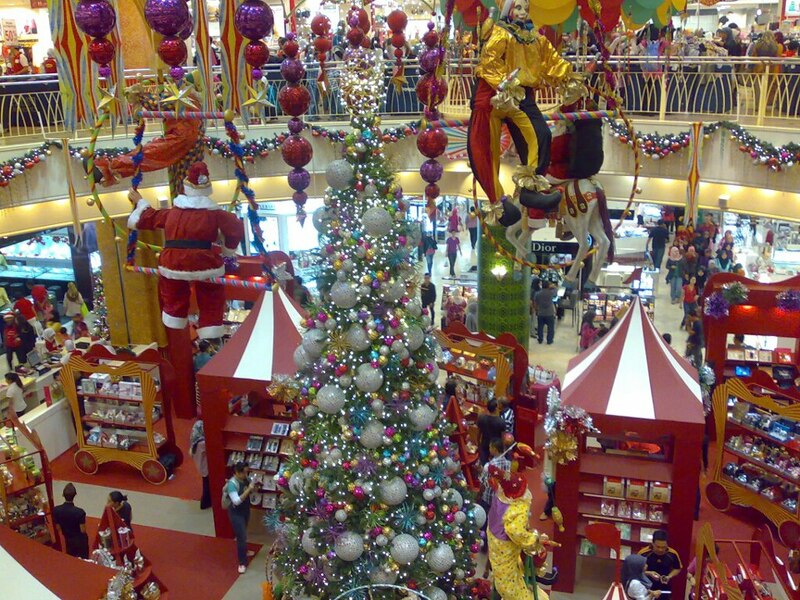 Unlike in Indonesia, Christmas is rather quiet in Kuala, Lumpur. Here we can only find Christmas trees in 5 star hotels and big shopping malls. So, not to much to see and nothing valuable to shop for my fashion business. It was really safe traveling in Kuala Lumpur and used the train. Something that the Indonesian government can learn from. 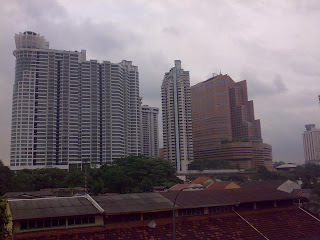 Over all, I loved my Christmas vacation in Kuala Lumpur. It was nice being away from Indonesia and enjoyed my solitary Christmas in KL. I have tried to forget everything about my family affairs, although it is so hard and painful. 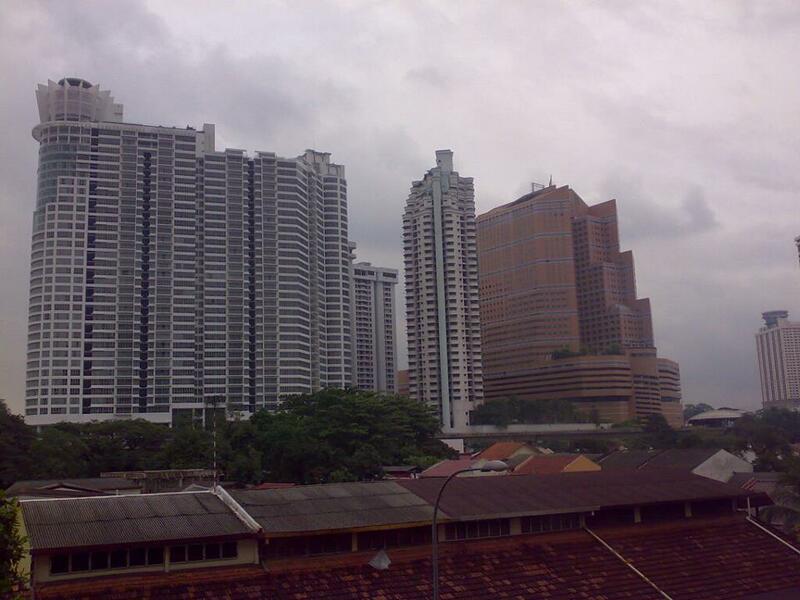 Actually the most famous land mark of Kuala Lumpur is the Petronas Twin Towers, the tallest sky scrapers in the world. However since everyone knows about the towers. I would rather used other buildings nearby my hotel, just to share a bit about the environment around Chow Kit area.